Any plans on going there with positive honor? Otherwise I can try and test it out (If I know how). Go for it, let us know the outcome. Yeah you can cheat to change it, i just havent had time to test it. Been playing Resident Evil 2 these past couple of days. So feel free to try it yourself. @AndyGanteks is that from the Bronte mission or do I have something to be excited about? 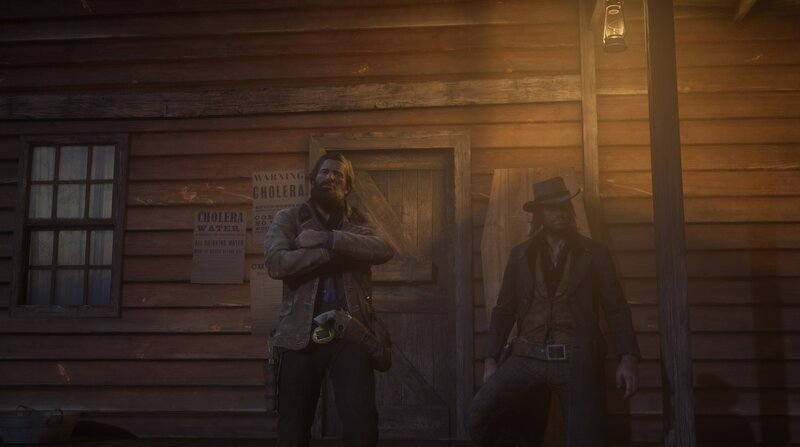 Yep it's that one, exploring around a bit more to see how things look, and some rare valuable screens of Arthur & John together in NA. 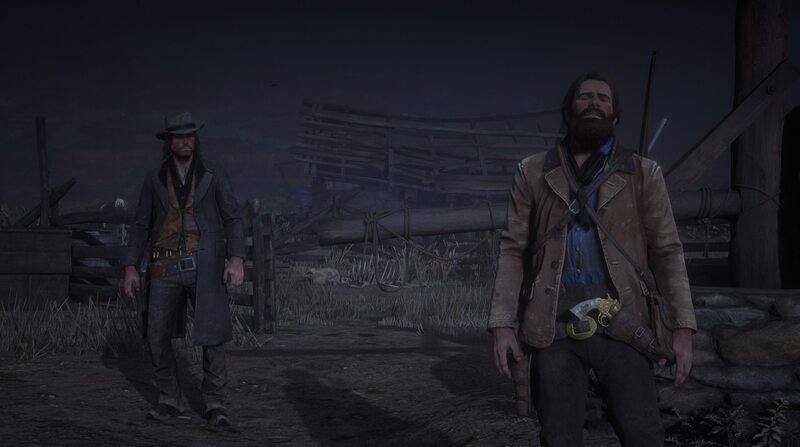 Nice shots of Morgan & Marston, i think i might have to get involved in some of that quality time with them both! 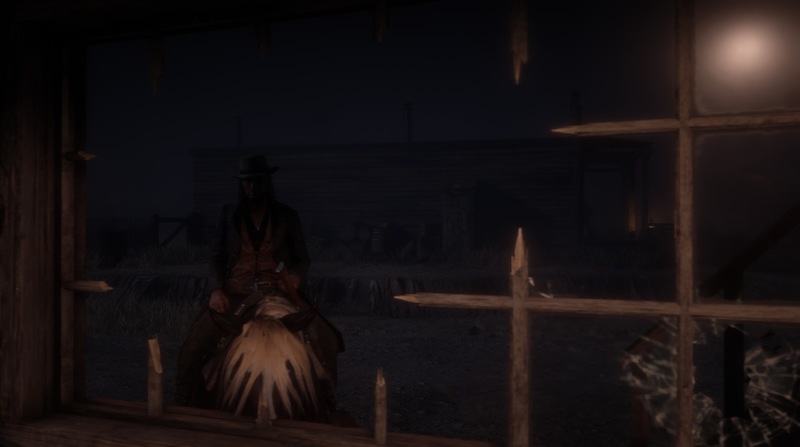 Also, I glitched into the Taxidermists' house in Red Dead Online... There's actually things to loot inside surprisingly. Is the interior not there by default in the singleplayer game to allow this? Oh, I can get through locked doors? 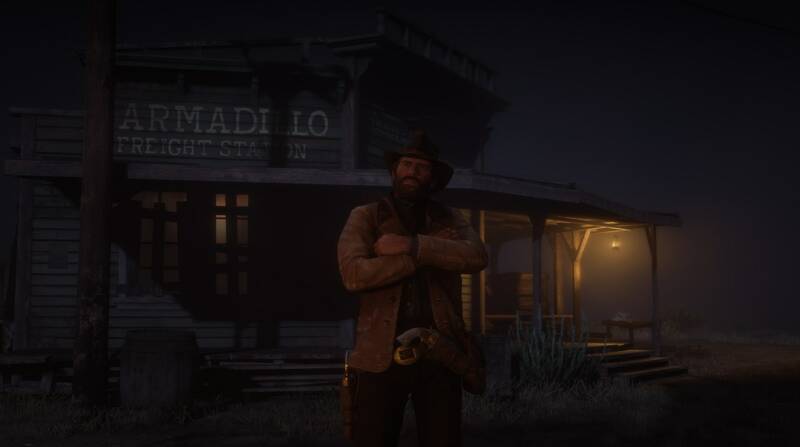 Time to rob the Armadillo bank! It's in single player, but is locked and only available to look in once, once you finish all the hunts, as Martson. 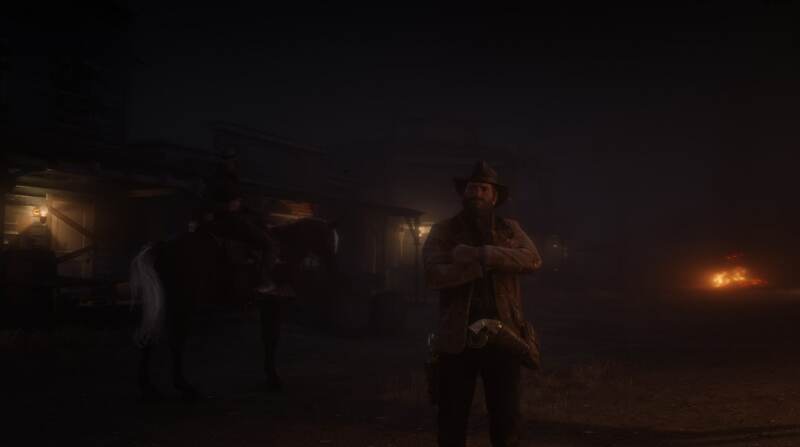 Yeah I got through to that mission. 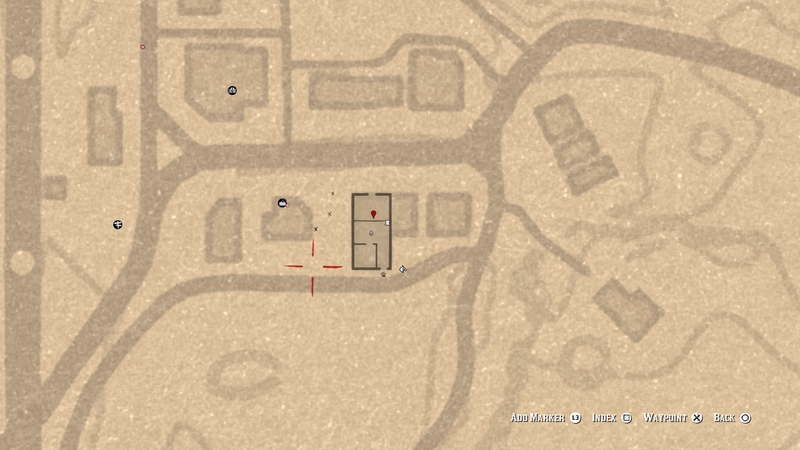 It's sad it's not available all the time and makes me wonder how Rockstar is juggling streaming and memory requiring spaces like this to be on or off. 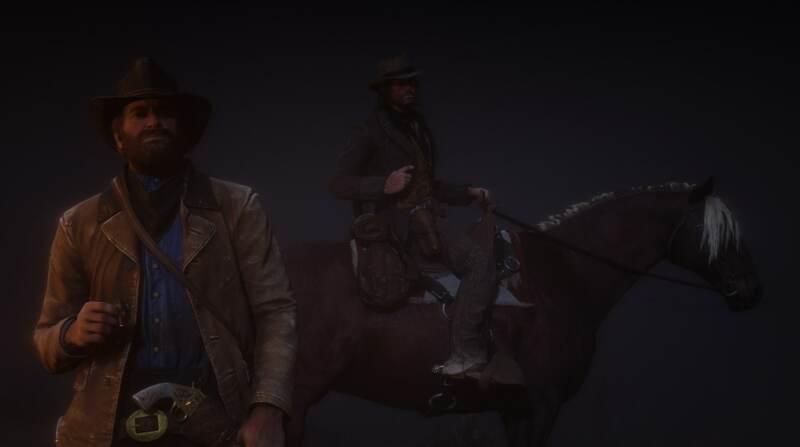 I couldn't get Marston to get off his horse, but I got a couple of cool snaps. Y’all don’t forget to vote this thread for topic of the year! Was there any trick to the skinning jump? I tried it a couple unsuccessful times with an elk and deer. Has to be Wolf or Cougar or any other animal with the same animation where it cuts away from him cutting the face skin. The head has to be close to the door. 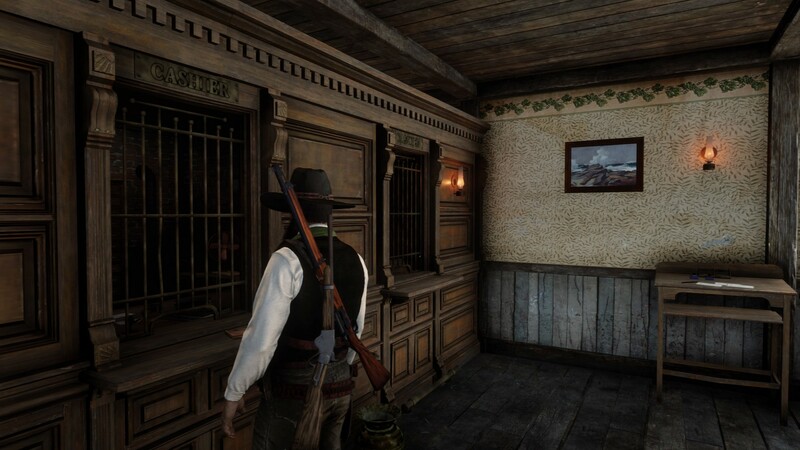 Cutter mentioned the Armadillo Bank,is there any other cool interiors anyone can think of that we can explore? 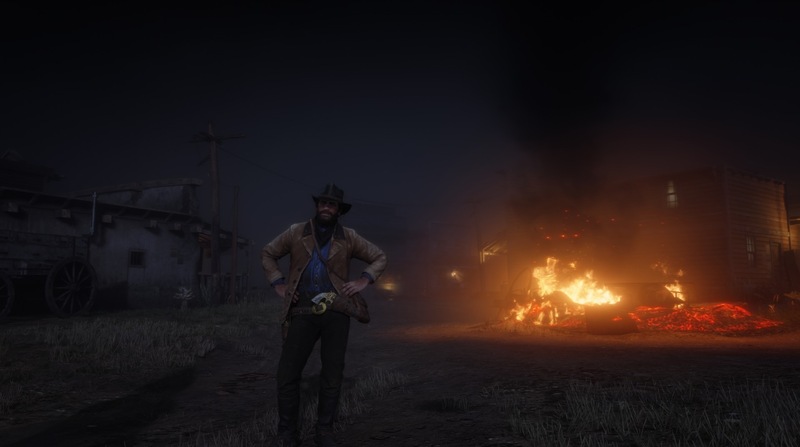 I went to Theives Landing during the mission, it was abandoned, no gang there at all. @Cutter De Blanc It worked, i got into the bank! Just to confirm, there is no way to enter the bank by normal means right? Nope it's usually locked, Offline & Online. 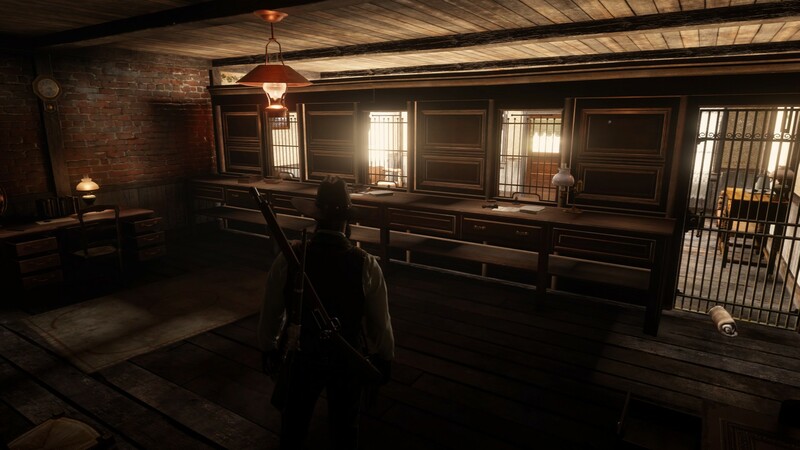 Considering other towns have a secret "back room", I was thinking the Van Horn's pawn shop was the cut kidnapped girl location. Maybe it was also cut because it was too similar to the kidnapped boy under Rhode's gunshop encounter. 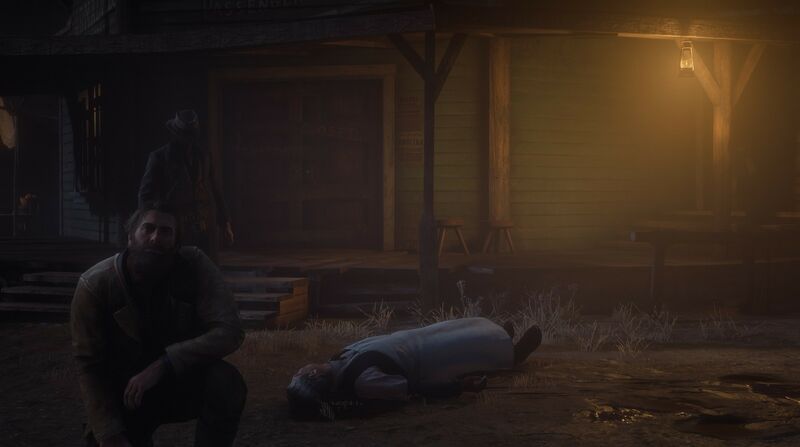 Van Horn is such a weak town! It looks so destructively textured, yet only a few interiors. 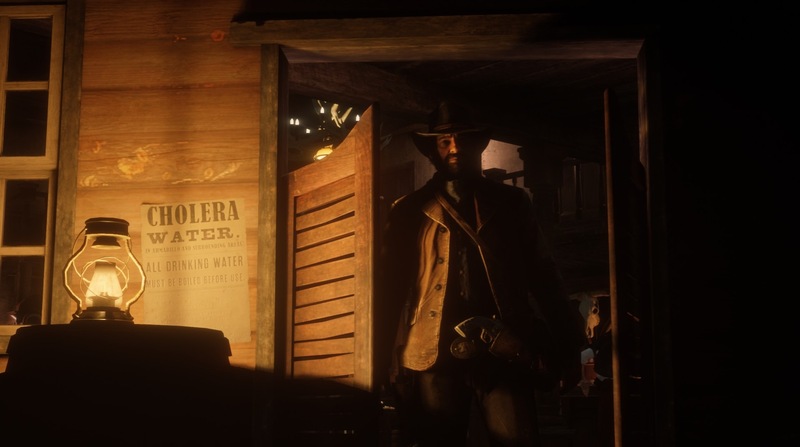 It needed at least one more interior on the main street to make it feel like a town instead of a hideout with a saloon. Yeah, I sorely miss the ability to just rob banks in the single player game. 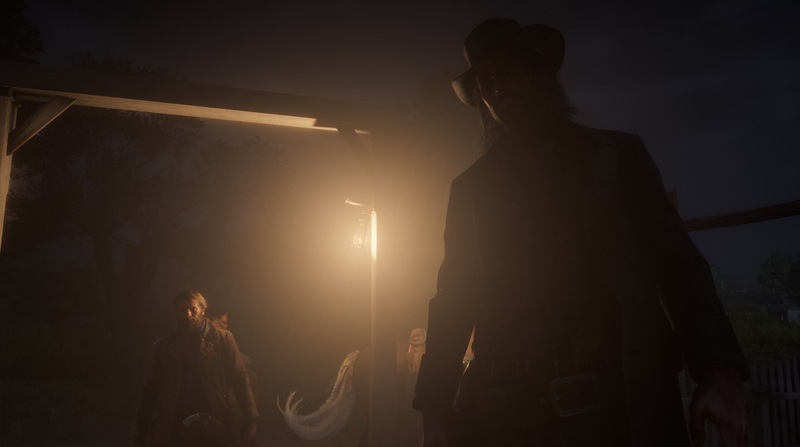 It feels like a staple of the cowboy genre and all of them are only used in major story missions.